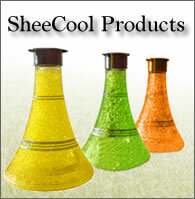 SheeCool provides a long lasting smoking joy. Unlike conventional Shisha Pipes that loses efficiency and taste after minutes of use, SheeCool retains a sensational taste with every puff that can last up to 3 hours by preserving the flavor 2 times more than the normal Shisha water tank. SheeCool tough body that is ligh incorporates an internal vacuity which is filled with a freezable liquid that cuts down on burning senses while inhaling the smoke. By placing its water-reservoir (vase) couple of hours in the freezer, the air-flowing from the basin becomes cool and causes the burning of the charcoal to last longer and to provide burn-free sensation. Its body is compatible with most Shisha shafts (stems) including the screw on type. 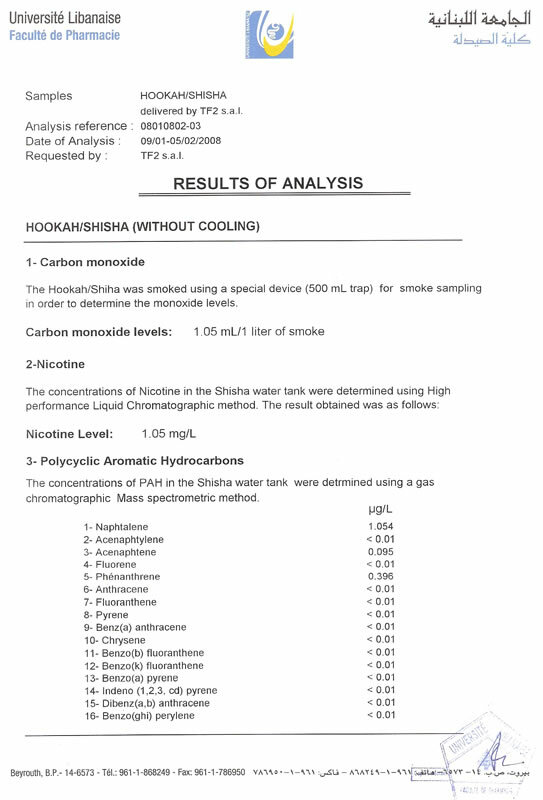 Health Benefits: The most important benefits from using SheeCool concept is; reducing risks, hazards and smoking harms, among them 'Lung cancer'. 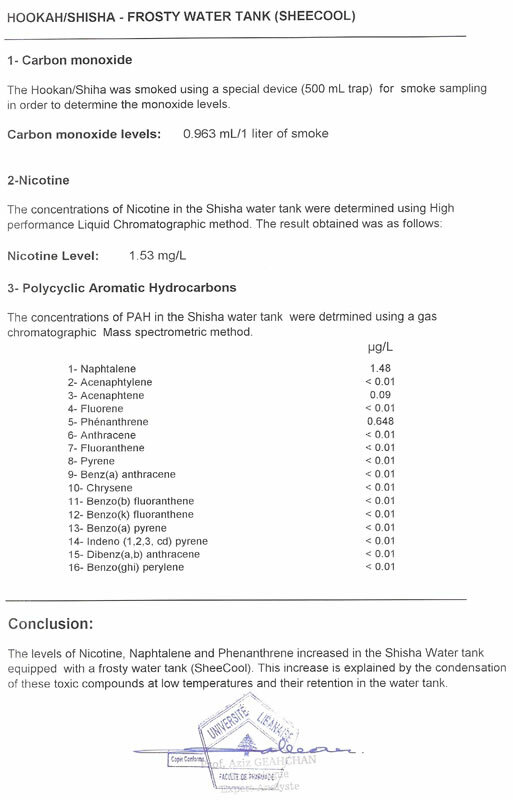 A high percentage of Tar, Nicotine (nitrosamines), Polycyclic Aromatic Hydrocarbons (PAH) and Carbon Monoxide (CO) sharply reduced because of circulating the inhaled smoke into cold water which leads to melt and decrease harmful elements and gases. SheeCool provides you the taste you always anticipated with every Puff. Using a simple technique yet effective, SheeCool has the solution. Its tough body incorporates an internal vacuity which is filled with a 'freezable Liquid or Gel' that cuts down on burning senses while inhaling the smoke.